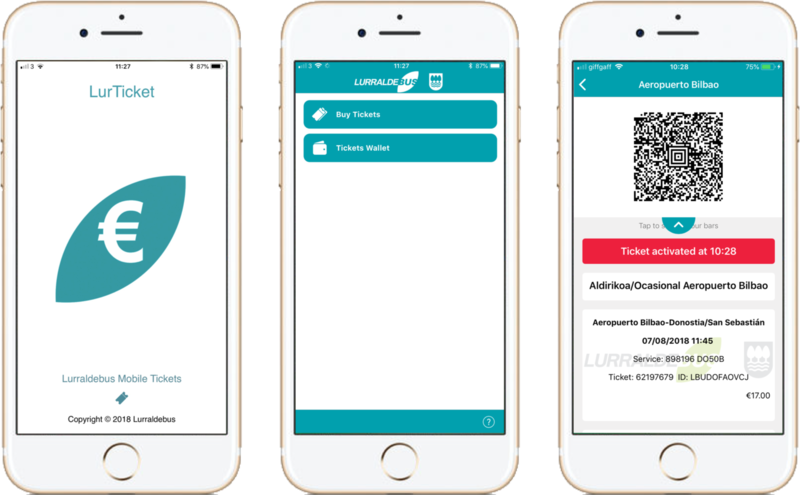 London, UK & San Sebastian, Spain - 7th August 2018 - Masabi, the company bringing Software-as-a-Service ticketing and payments to public transport today announced that Lurraldebus, the Spanish intercity public transport service with more than 250 buses operating in Gipuzkoa, has launched mobile ticketing using the Justride platform. 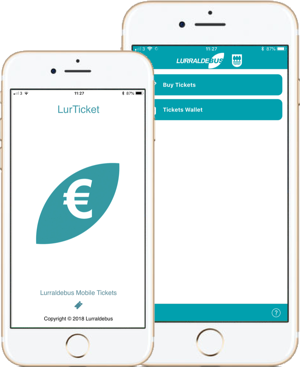 The ‘LurTicket’ system allows passengers to download an app onto their smartphones which can be used to purchase tickets and display them on-screen as a dynamic and encrypted barcode, which is scanned by the driver when boarding the bus. For passengers, it removes the hassle of having to carry cash and supports Spanish, English and Euskera, making buying a ticket simple for both locals and tourists. The initial launch is on long distance lines, with 70 buses, including the route from Bilbao Airport to Donostia/San Sebastian. 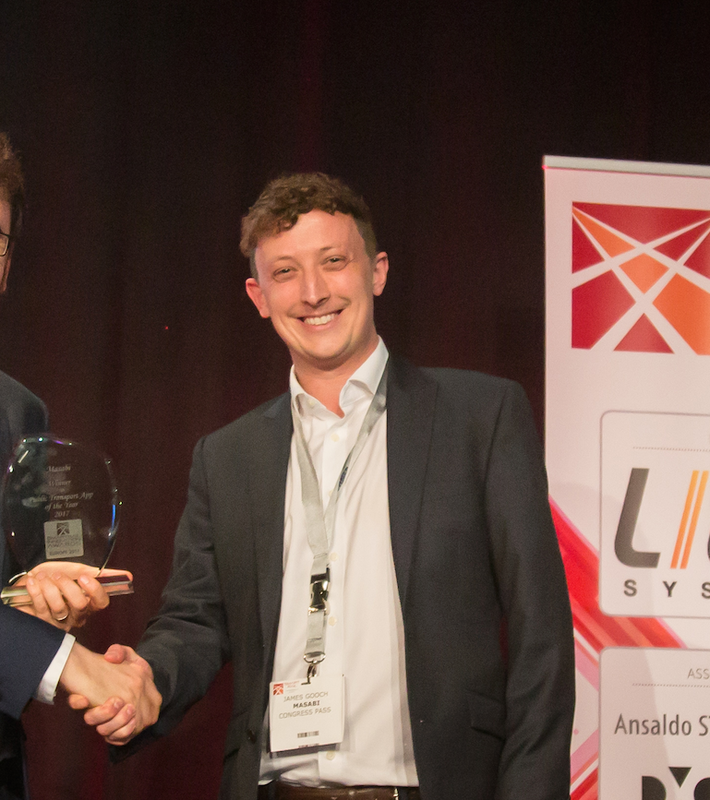 The app has been developed by Gertek using the Justride SDK to incorporate Masabi’s market leading ticketing technology. The system allows tickets to be purchased through the app which includes a capacity reservations service. The Justride SDK handles the fare tables, payments and the full ticket lifecycle. Once a ticket is bought they can be activated offline so passengers are never left without their ticket. In addition, drivers will check tickets using Masabi’s scanning software, Inspect, which is an application that can run on Android and Apple smartphones and standalone handheld devices and is used around the globe to quickly and reliably validate tickets. The Justride platform from Masabi, which Lurraldebus will be using, is already in use with over 40 transport operators across 4 continents around the globe, including in major cities such as New York, London, Las Vegas, Los Angeles, Boston, Sydney and in countries such as France and the Netherlands. As part of the deployment, Justride will be using Mastercard Payment Gateway Services to enable simple, safe and secure in-app digital payments. Masabi provides Software-as-a-Service (SaaS) ticketing and payments to public transport agencies around the globe. Its cloud-based fare collection platform, Justride, unifies account-based and pre-pay ticketing into a single configurable solution. Justride’s SaaS architecture, ‘Mobile First‘ approach and BYOT philosophy, allow transport providers of all sizes to deliver innovation quickly, delighting passengers and reducing costs, while increasing efficiency and data insights. Masabi is the category creator for transit mobile ticketing and with over 40 clients across 4 continents the Justride Mobility Platform is the most widely deployed end-to-end mobile and account-based ticketing solution in operation, serving the largest agency in the USA to the smallest bus operator. The company’s Justride SDK is the world’s first and only mobile ticketing SDK for public transport allowing partners such as Uber, Kisio and Transit to request fare types, make payments, and deliver visual and barcode mobile tickets to a passenger within their applications. It has offices in London, New York, Boston and Cluj and investors include Mastercard and Keolis.